Dogs are incredibly affectionate animals. When they love someone, they make it known — by licking them, sitting with (or on) them, and protecting them. Many dogs treat snuggling like it’s their job. They act like they’re obligated to lay right on top of their human, no matter how large they are. Some special dogs have real jobs, though. This dog, Kenobi, has one of the most important jobs a dog can have: he’s a police K-9, like this dog. 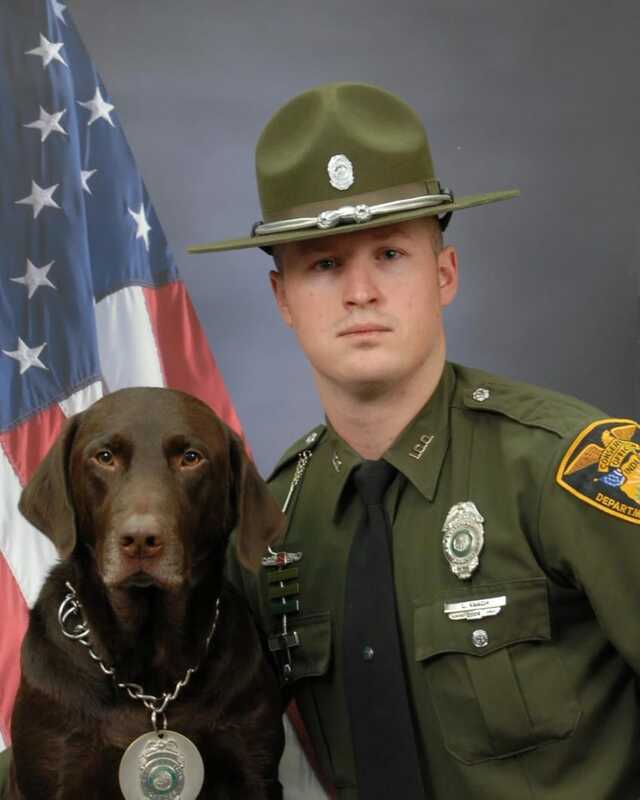 He works for Indiana’s Department of Natural Resources (DNR) Law Enforcement District 2, alongside his human partner, Levi Knach. The pair does difficult work: locating missing persons, finding illegally taken wildlife, and locating evidence of criminal activity. 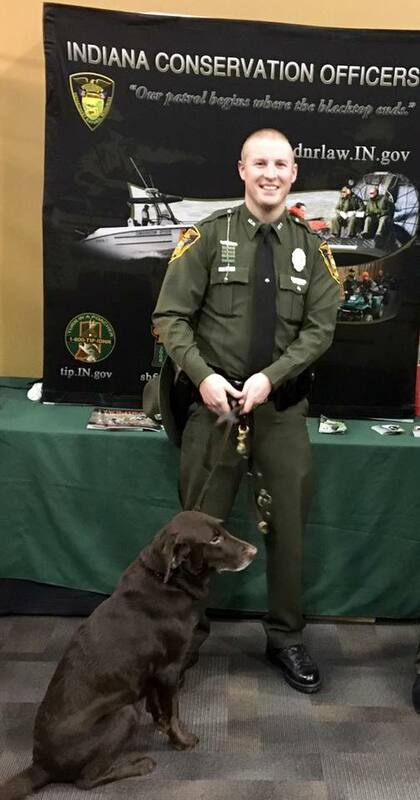 The DNR conservation officers have very important jobs — their unique jobs require them to train regularly as police officers but also prepare them to help in emergencies and natural disasters. They focus more on the wilderness and outdoors than other police officers, which means they fight for the rights of our environment as well as the rights of individuals. While their job is definitely no laughing matter, their official police photos are. Because Officer Knach and Kenobi spend so much time together, they’ve forged an incredible bond — one that Kenobi just can’t hide, even in official police pictures. When posing for police photos, the goal is to look stone-faced and somewhat intimidating. Working as an officer of the law isn’t easy, so the official portraits should represent the difficult work these men and women (and dogs) do. 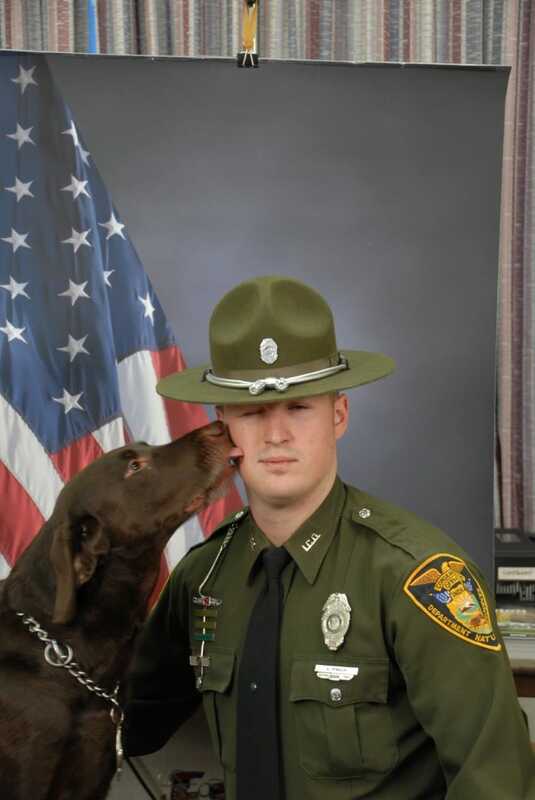 Well, apparently Kenobi didn’t get the “stare straight forward, act serious” memo because when he and Officer Knach started taking pictures, he thought it was a perfect time to show his adoration of his human — by licking him. 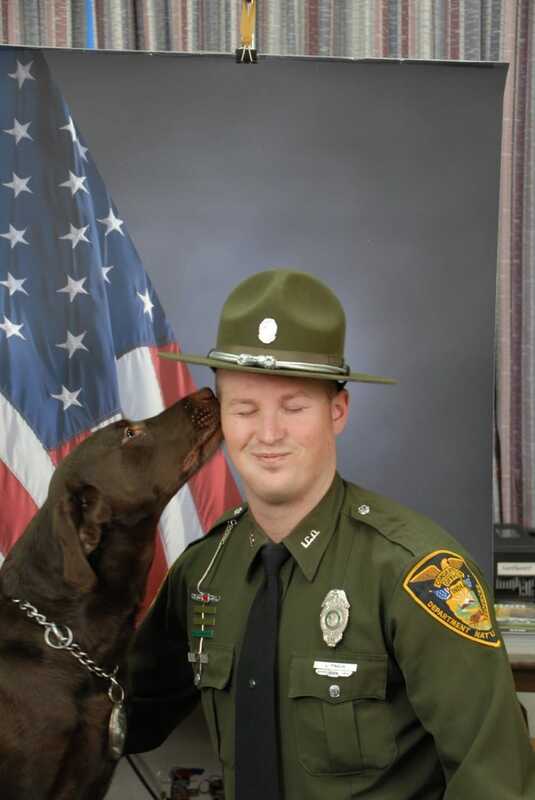 At first, Officer Knach tried to ignore Kenobi’s kisses, but then it got too funny and even he couldn’t keep it together. He cracked a smile. Everyone who sees this picture is smiling too — it’s just too cute! 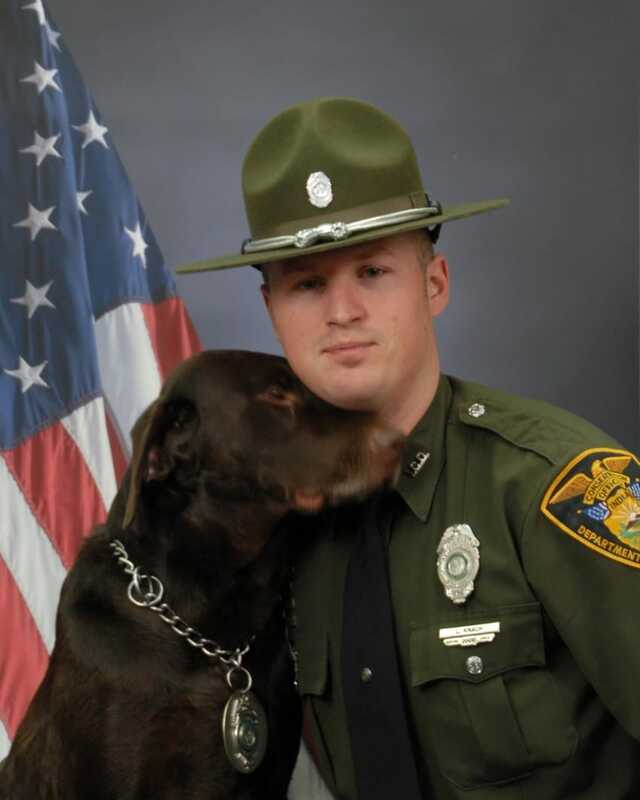 After getting all his kisses out of the way, Kenobi was finally able to take a serious picture — I can imagine that this will be the one they use for official police matters. The other photos may be adorable, but this one is definitely the most serious-looking one. For those who know Kenobi, this behavior wasn’t entirely out of the ordinary. 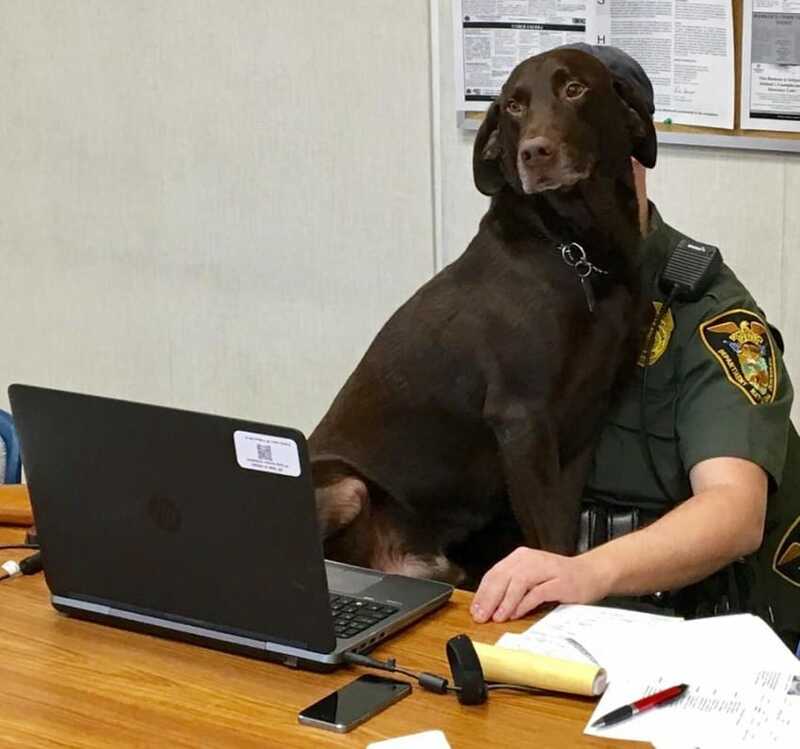 He’s even been known to sit on Officer Knach while he tries to do work. 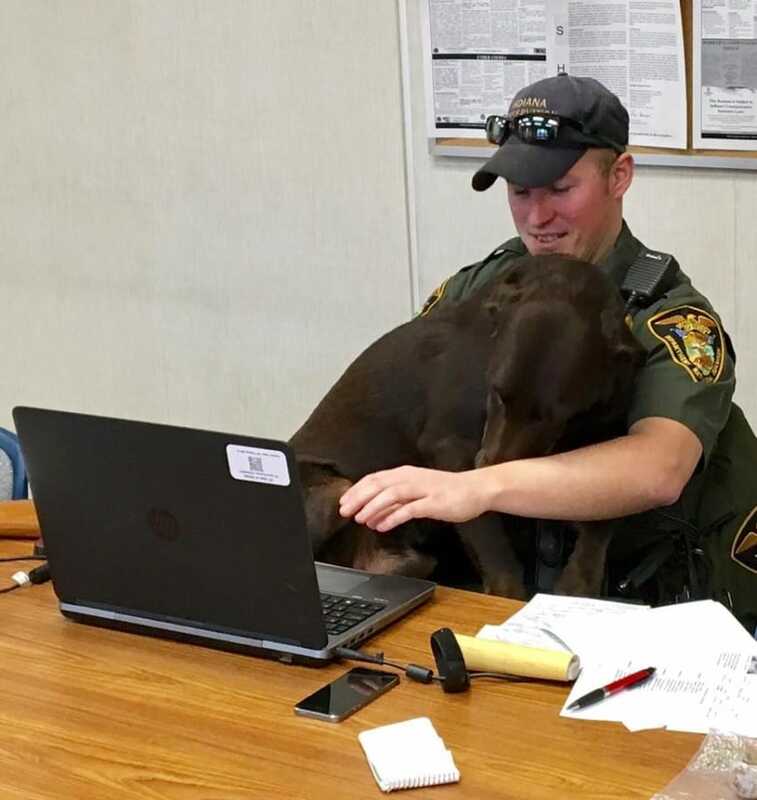 Kenobi and Officer Knach are clearly inseparable — that bond probably helps make them a great law enforcement team. Does your dog do goofy stuff like this when you try to take pictures?